They say that “software is eating the world,” but consumers worldwide appear to find online shopping much more palatable. This year experts predict nearly 2 billion consumers globally will choose their favorite brands or discover new ones once the shopping mood strikes. Consumer shopping habits are rapidly evolving and the entire e-commerce landscape is changing in tow. Studies show that 51% of Americans prefer shopping online over visiting a brick and mortar store. It’s nearly a split decision, but there’s a huge purse at stake: experts expect e-commerce sales to break the $3 trillion mark this year. Naturally, entrepreneurs and businesses of all shapes and sizes are fiercely competing for market share. Competition is fierce and brands must remove as much friction as possible in hopes of winning recurring sales. Luckily, marketers know that personalization and context-based shopping experiences create long-lasting engagement among the digitally native. As brands look to extract more out of their businesses, understanding their customers’ buying patterns is only the first step of many. It’s mission-critical to invest in the right e-commerce platform capable of capturing rich behavioral data to drive dynamic, highly personalized messaging campaigns. Magento is the leading cloud e-commerce platform helping brands create engaging shopping experiences, drive more revenue growth, and operate efficiently. Magento has been instrumental in helping thousands of retailers with inventory and order management, while powering seamless shopping experiences. Their robust platform makes it easy for their customers to meet the needs of the mobile-first consumer as well as extend their products internationally. Recently acquired by Adobe in 2018 and named a leader in the Gartner Magic Quadrant for Digital Commerce, Magento has become a reputable open source platform for commerce and a true partner to the developer community that needs data flexibility to create unique shopping experiences. For all these reasons and more, we are pleased to announce our partnership! 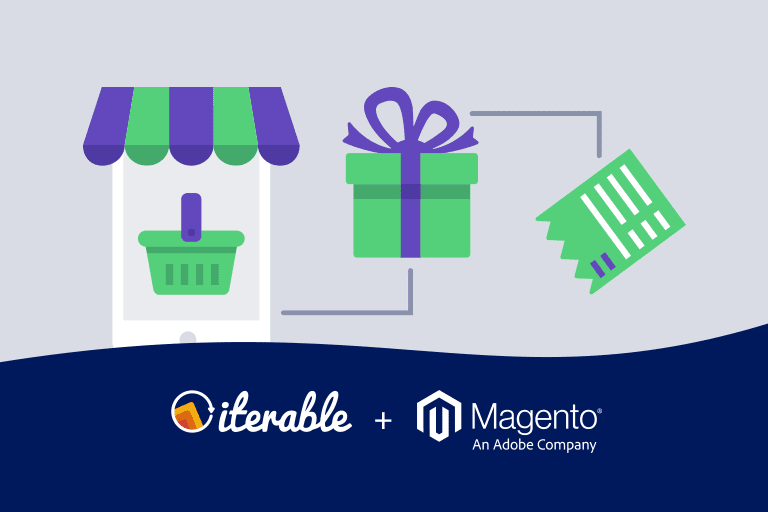 Who Benefits From the Magento + Iterable Integration? E-commerce businesses and online retailers that are looking to retain loyal customers and maximize the post-purchase workflow of the customer journey are great candidates for this integration. Re-engaging shoppers and minimizing abandoned carts are common customer lifecycle challenges—but a combination of targeted messages incorporating customer purchase data is the winning formula. Post-Purchase Transactional Communications, such as receipts, order confirmations and shipping notifications, for shoppers who have made a purchase. Cart Abandonment Campaigns for shoppers who have placed items in their shopping cart, whether on desktop or mobile, but have not completed checkout. Win-Back Campaigns to entice recent buyers to return, offering special promotions to drive more business. How Do I Setup My Magento + Iterable Integration? Setting up the Magento + Iterable integration is simple, allowing your team to get up and running quickly. Selecting the Iterable Plug-in within the Magento Admin Portal. Log into Iterable and grab the Magento API Key. You can find the API Key under Integrations → API Keys → Select Magento. Copy this key and now log into your Magento Admin Portal. 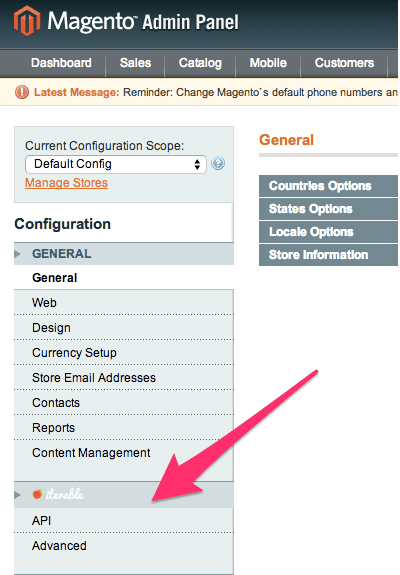 Go to the Magento Configuration section, select the Iterable plug-in and paste the Magento API key from Iterable. To learn more about setting up your integration, check out the support article. What Makes the Integration So Powerful? Our partnership with Magento exemplifies our best-in-class marketing technology ecosystem, which enables brands to achieve their business goals and connect people with products that bring them joy. For more information on the Magento + Iterable integration, sign up for a custom demo today. 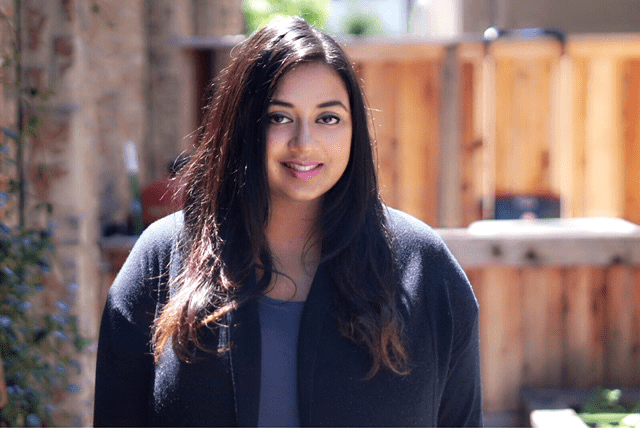 Arpita Neelmegh leads Product Marketing at Iterable, helping B2C marketers achieve growth marketing excellence. She holds a Bachelors in Science from UCLA and has a diverse background in messaging, go-to-market strategy, competitive differentiation, product launches, and sales enablement. When Arpita isn't working, she enjoys singing at events and practicing yoga. 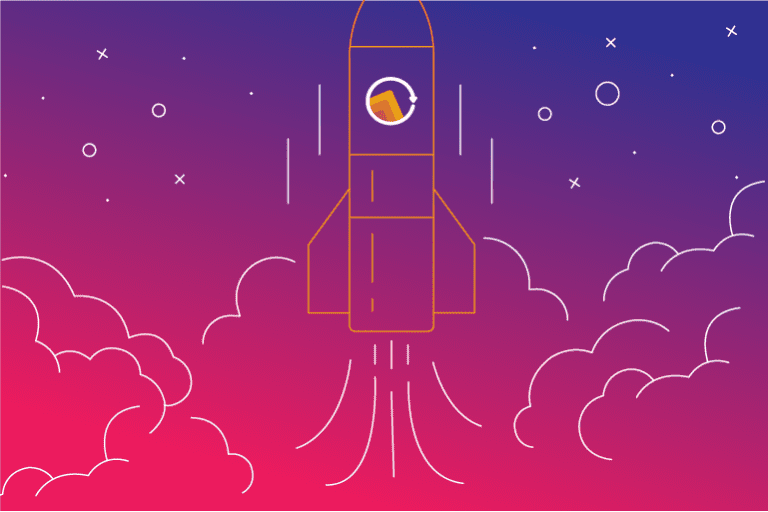 We are excited to announce that we’ve secured $50 million in Series C funding and are grateful for the support from everyone who made our success possible. 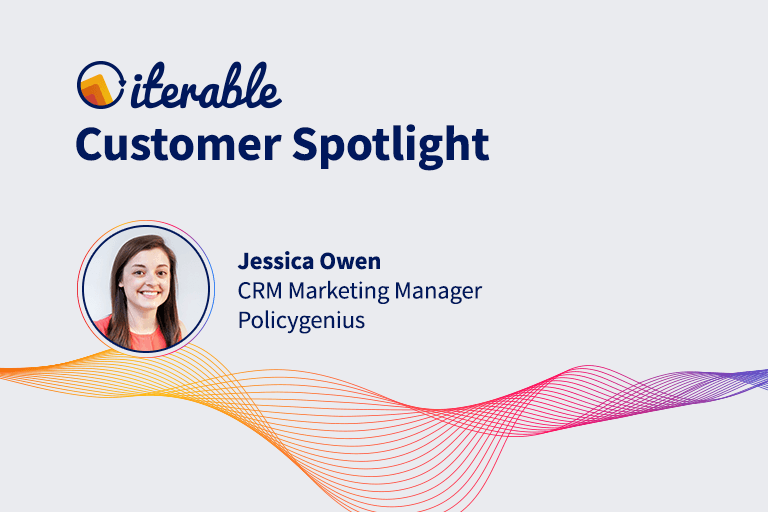 For our March Customer Spotlight, we are excited to feature Jessica Owen, CRM Marketing Manager at insurance site Policygenius.